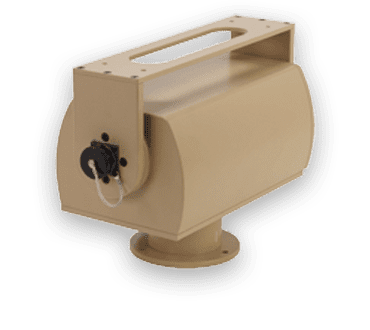 The Vector-20 Precision Pan-Tilt System is a rugged, aerodynamic precision pan-tilt system able to deliver stable, precise imagery in rough seas and at high speeds. Designed to handle the intense jostling and vibration in marine environments as required by special operations forces, the U.S. Coast Guard, harbor patrol, law enforcement officials, and commercial and private mariners. 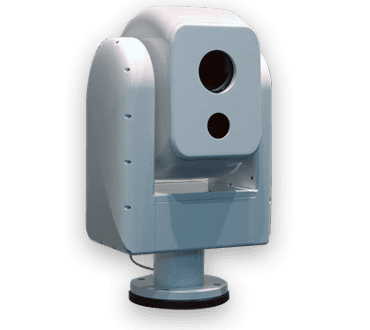 Able to accommodate a wide variety of EO/IR sensors, the Vector-20 delivers an affordable, versatile and stabilized motion control solution. With its high torque capability, the Vector-35G Precision Pan-Tilt System accommodates a wide range of payloads from long-range cameras to radar systems. The Vector-35G is ruggedized to ensure performance in the harshest environment and provide unmatched reliability. General Dynamics’ unique, proprietary design allows for 24/7 continuous operation without requiring homing or calibration. Designed to meet the demanding threat identification and deterrent needs of modern border patrol and force protection missions. General Dynamics’ precision pan-tilt systems combine our high power DC torque motors and high accuracy resolvers directly coupled to the payload for maintenance free operation with zero backlash. 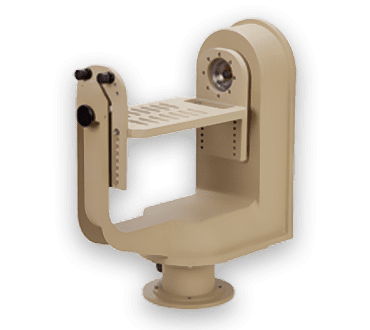 With a payload capacity of up to 50 pounds and optional cradle and arm support, the Vector-50 Precision Pan-Tilt System is ideally suited for multi-sensor platforms. The integrated 16 bit resolver is directly coupled to each axis for superior control and accuracy, making it ideal for long-range electro-optical and infrared camera systems. 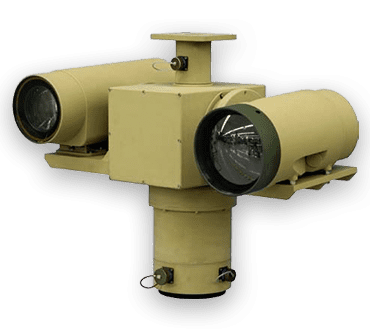 The Vector-75 Precision Pan-Tilt System is designed to meet the demanding threat identification and deterrent needs of modern border patrol and force protection missions. The Vector-75 offers a unique platform specifically designed for integration of multiple sensors into one, cost effective sub-system. 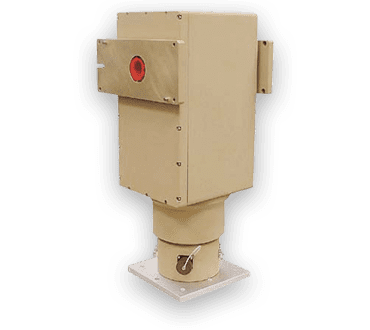 The system’s fixed, independent mounting post, provides users the ability to mount ground-based surveillance radars, while independently positioning other sensors. General Dynamics’ precision pan-tilt systems combine our high power DC torque motors and high accuracy resolvers directly coupled to the payload for maintenance free operation with zero backlash. With a payload capacity of up to 100 pounds the Vector-100 Precision Pan-Tilt System is ideally suited for multi-sensor platforms. The integrated 16 bit resolver is directly coupled to each axis for superior control and accuracy, making it ideal for long-range electro-optical and infrared camera systems.